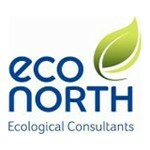 EcoNorth provide a comprehensive range of ecological advice, surveys, planning support and land management services across the North East of England, Cumbria, Yorkshire and the Scottish Borders. We are the external consultancy arm of Northumberland Wildlife Trust and we benefit from access to the Trust’s professional ecologists and land management experts. As well as providing an ecological consultancy service we also have the capability to undertake practical land management work to improve the environment and have in-house design expertise for interpretive projects. We understand the wildlife and conservation in our area intimately and we are able to help you respond appropriately to site specific issues all the way up to regional and national policy. Our senior staff are commercially aware and have an excellent understanding of the planning and development process (including EIA).